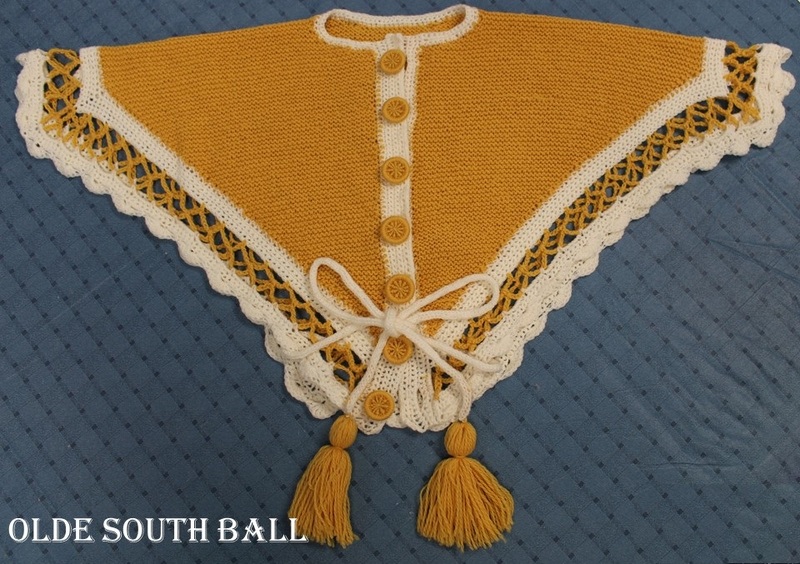 A silent auction was held at the 2018 Olde South Ball. A portion of the proceeds benefited Calvary Home for Children in Anderson, SC. We thank our donors for donating these special items for the 2018 auction! This stunning wall-hanging piece is sure to attract attention wherever it's displayed. 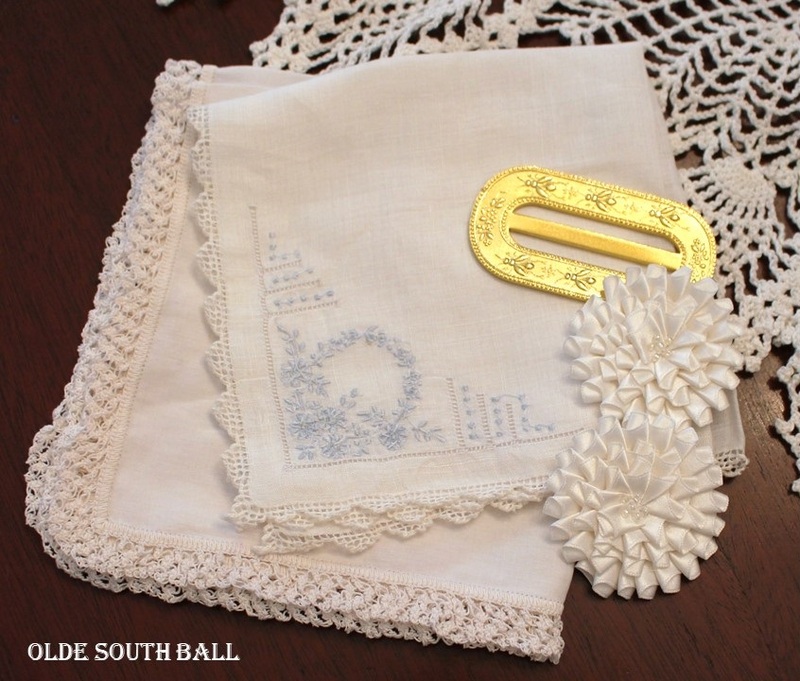 Beautifully mounted artifacts from the Cedar Creek battlefield awaken echoes of the hard-fighting soldiers who gave their lives in Virginia on October 19, 1864. 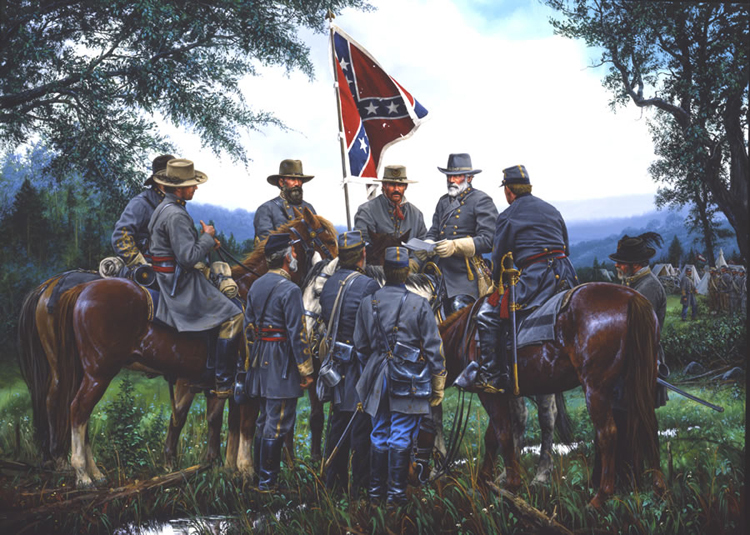 The culmination of the Valley Campaigns, Confederate General Jubal Early and Union Major General Philip Sheridan met on the field in what started as a Confederate victory but was dramatically changed to Union victory as Sheridan rallied his troops. 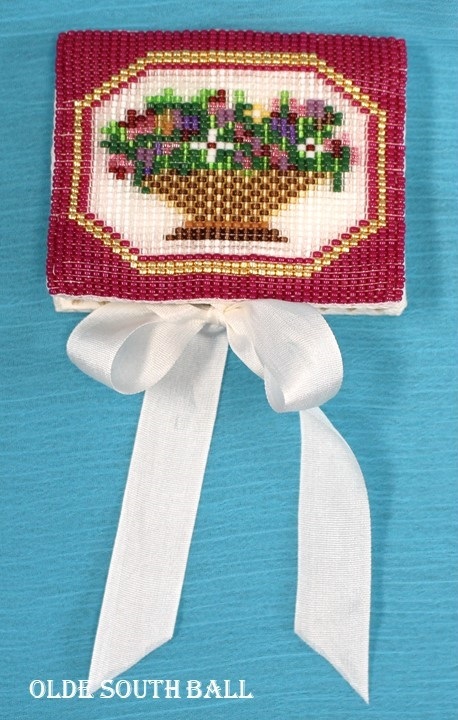 Keep your pins and needles handy with this delightful Victorian-style needlebook. Beaded from a 19th century pattern, this silk-backed dainty needlebook holds several "pages" of wool to keep your pins and needles rust-free at your fingertips. Handcrafted by Raquelle Sheen. 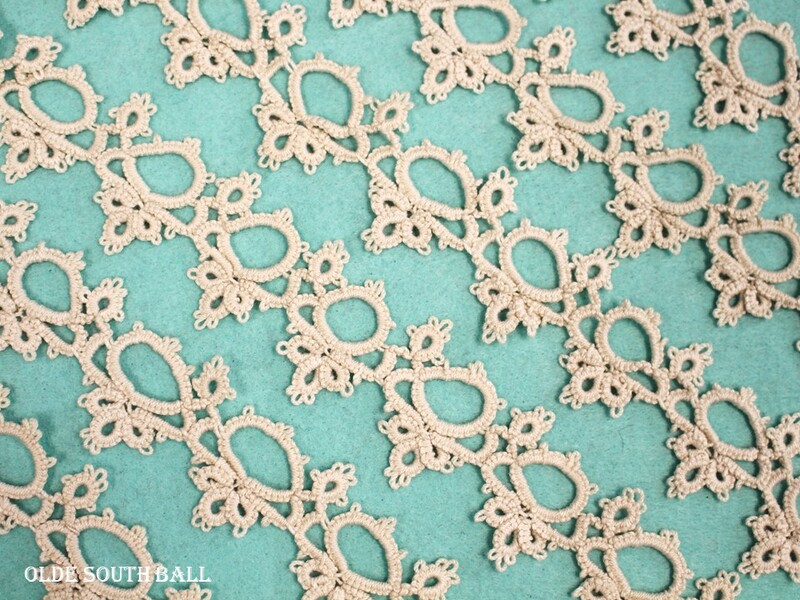 Over 100 inches in length, this gorgeous hand-tatted ecru lace was made especially for the Olde South Ball by Mr. Shealy. 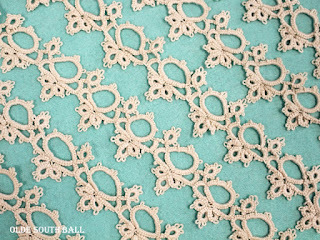 Delicate and fairy-like, it will make a lovely accent to a wide variety of projects. 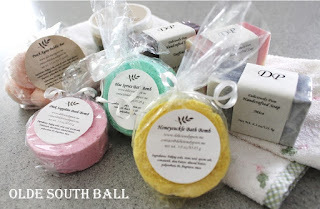 Pamper yourself with homemade soaps, bubble bars, and scrubs! This assortment of goodies in a variety of attractive fragrances is sure to delight any lady! Includes a Yuzu Salt & Honey Scrub, Peach Agate Soap, Mica Soap, Honeysuckle Bath Bomb, Blue Spruce Bath Bomb, Pink Sapphire Bath Bomb, and a Peach Agate Bubble Bar. Trim or re-trim your bonnet with these beautiful millinery supplies! Vintage lace, delicate millinery flowers and a gorgeous length of wide taffeta ribbon for bonnet ties are included in this beautiful set of trims. Dazzle the crowd with your new fancy feathers! After crossing the Potomac River at Williamsport, General Robert E. Lee continued moving his army northward. By June 27th they had camped near the town of Chambersburg, Pennsylvania. Lee's headquarters were set up in a grove of trees known as "Messersmith's Woods" on a road leading to another sleepy Pennsylvania town named Gettysburg. On the night of the 28th, an independent scout, Henry T. Harrison, who had been employed by General Longstreet, brought word that the Federal Army had a new commander, George G. Meade, and was north of the Potomac, much closer than they had thought. On the morning of June 30, Lee met with General Longstreet and key members of his staff and announced quietly a change of orders. "Tomorrow, gentlemen, we will not move to Harrisburg, as we expected, but will go over to Gettysburg and see what General Meade is after." He "will commit no blunder in my front, and if I make one he will make haste to take advantage of it." At Gettysburg General Lee would find the Federals holding the high ground in defensive positions and the course of the war would soon be changed. 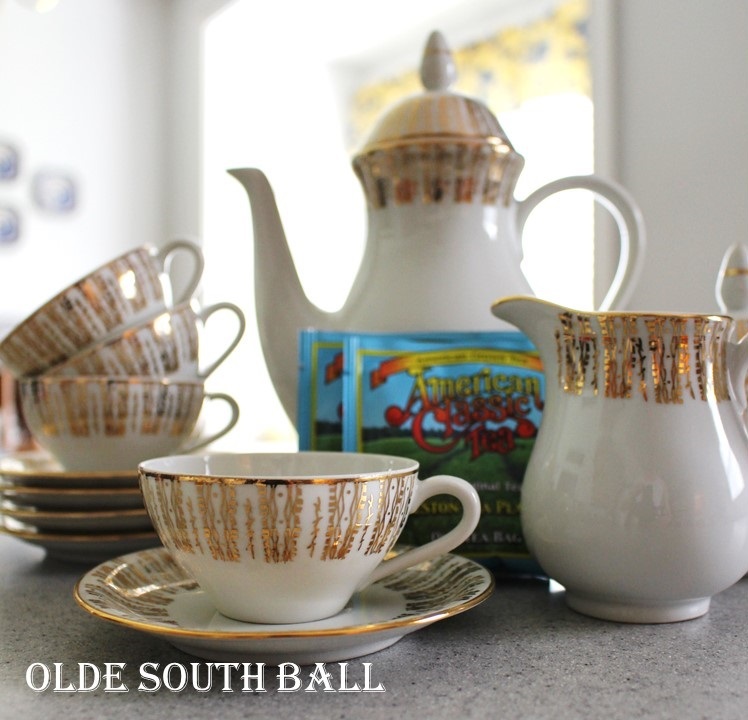 Entertain your friends with a Southern cup of tea in style! This dainty and elegant white and gold vintage tea set will grace any party. Included in this set is tea from South Carolina's own Charleston Tea Plantation. What better way to learn about real life during the war than to read the memoirs of those who were there? 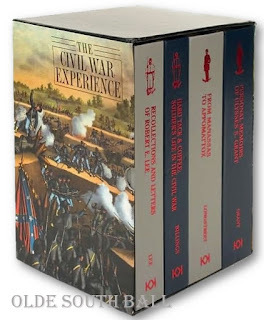 These four cloth-bound volumes in a beautiful slipcase are "Hardtack and Coffee" by John D. Billings, "Personal Memoirs of U.S. Grant" by Ulysses S. Grant, "Recollections and Letters of General Robert E. Lee" by his son Captain Robert E. Lee, and "From Manassas to Appomattox" by James Longstreet. 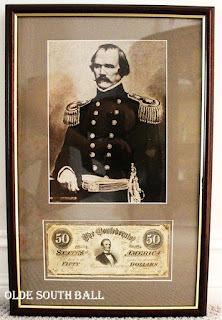 Perfect for a gift or to add to your Civil War library! Lads and lassies, show your love of Scotland! 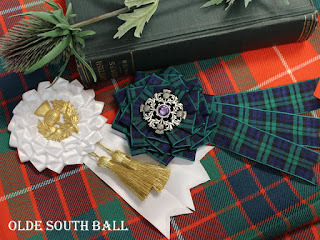 The Scottish white cockade was adopted by Bonnie Prince Charlie who, the story goes, plucked a white rose to put in his hat when he landed in England. The Blackwatch tartan was adopted in 1725 when King George I authorised the raising of a "Watch" which was comprised of six Independent Companies captained by Lord Lovat, Grant of Ballindalloch, Munro of Culcairn, Campbell of Lochnell, Campbell of Carrick and Campbell of Skipness. The tartan has since come to be associated with Scotland in general as a national plaid. The thistle was adopted as the Emblem of Scotland during the rein of Alexander III (1249 -1286). Legend has it that an army of King Haakon of Norway, intent on conquering the Scots, landed at the Coast of Largs at night to surprise the sleeping Scottish Clansmen. In order to move more stealthily under the cover of darkness the Norsemen removed their footwear. As they drew near to the Scots, one of Haakon's men unfortunately stepped on a spiny little thistle and shrieked out in pain, alerting the Clansmen of the advancing Norsemen. Needless to say the Scots won the day! Donated in memory of Dr. E.H. Rucker, Jr. on behalf of "Firing on Fort Sumter: The Opening Ball"
Albert Sidney Johnston (February 2, 1803 – April 6, 1862) served as a general in three different armies: the Texian (Republic of Texas) Army, the United States Army, and the Confederate States Army. 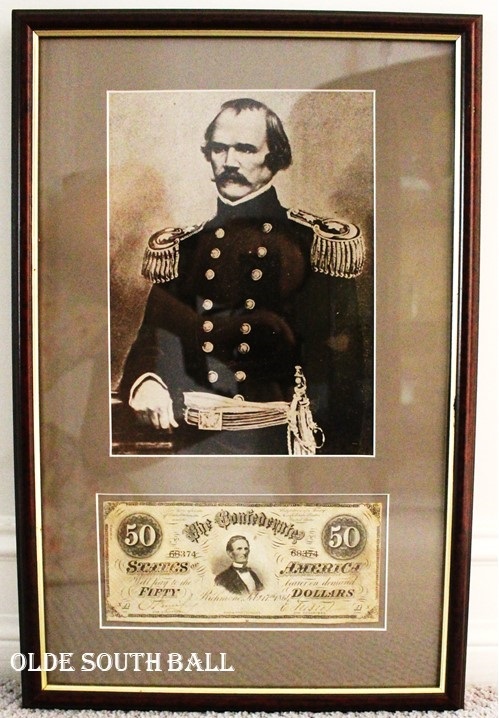 He saw extensive combat during his 34-year military career, fighting actions in the Black Hawk War, Texas War of Independence, the Mexican–American War, the Utah War, and the American Civil War. Dress up your outfit with an elegant period-shaped gold belt buckle donated by Ensembles of the Past. Touch up your period slip-ons or dancing shoes with delicate shoe rosettes donated by Creative Cockades. 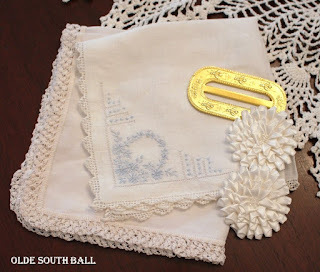 And tuck a dainty handkerchief or two into your purse, courtesy of the Old South Ball Committee. 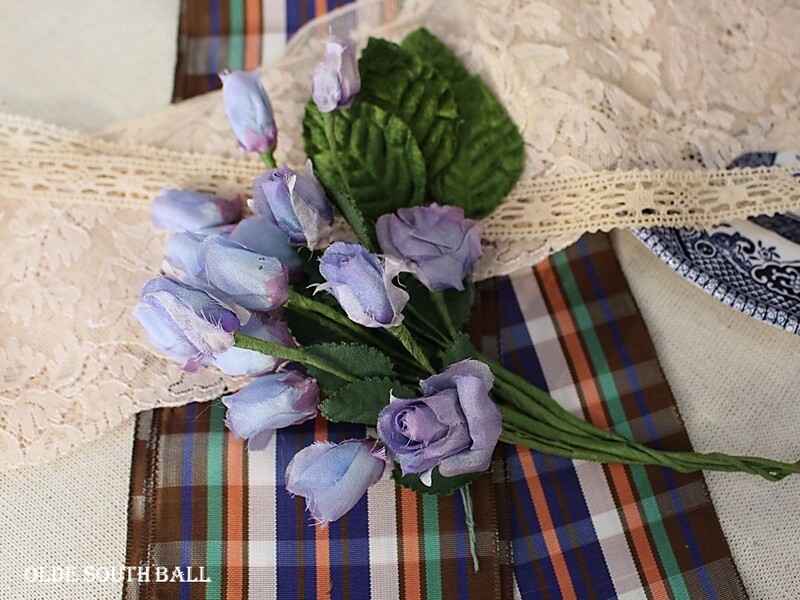 Then sally forth to enjoy the feeling of being stylish and graceful! 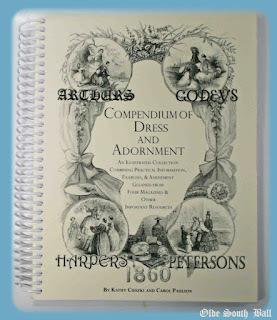 An outstanding republished compilation of 1860 Civil War fashion magazines with selections from Godey's Lady's Book, Arthur's Magazine, Peterson's Magazine, and Harper's Magazine. Fashion articles and fashion images right at your fingertips! 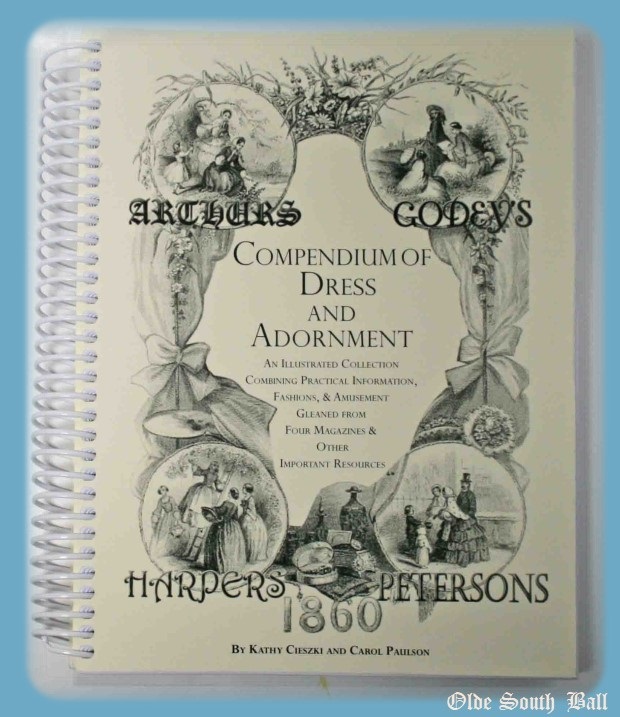 This compendium saves you the trouble of searching for fashion magazines in antique stores by providing a terrific assortment of images and quotes into one handy volume! Dale's first love has always been military history. His artwork is on display in many collections including the US Army War College, the Air Force Art Collection in the Pentagon, and the NPS Visitors' Center in Gettysburg. 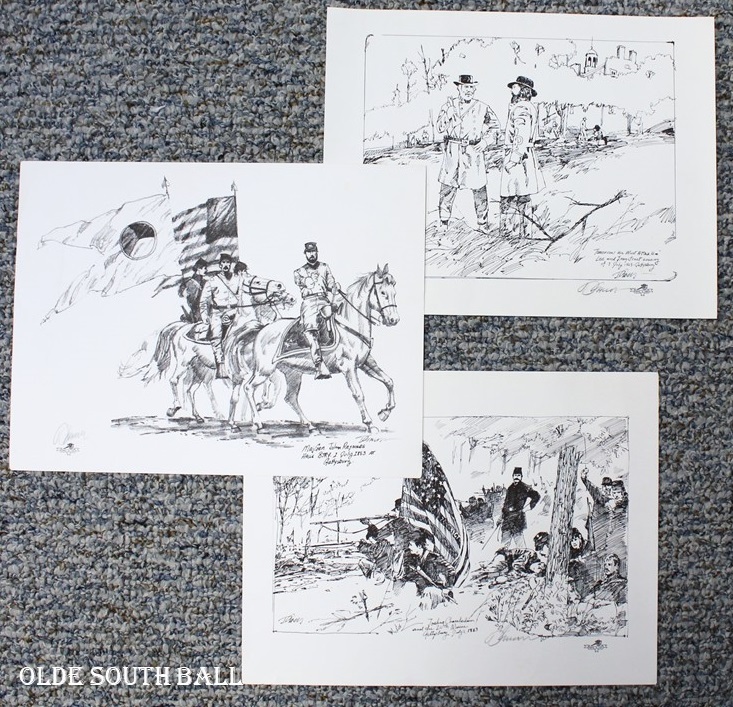 The three prints included in this collection are "Lee & Longstreet at Gettysburg," "Major General John Reynolds and Halls Battery at Gettysburg," and "Joshua Chamberlain and the 20th Maine at Gettysburg." Victorian ladies loved to wear a beautiful floral corsage as an accent on their ball gowns. This custom, handcrafted corsage features vintage-style flowers, leaves and berries and organza ribbon. Add an elegant touch to any ball or evening gown with this stunning creation! This stunning wool sontag is created from a period pattern and makes an outstanding dress accessory on a chilly day. It is a size small and admirably suited to a teenager or petite lady. Beautifully handmade by Sandra Grant especially for our ball. A black buckle, white buckle, several vintage black button sets, and a set of black shoe rosettes makes this lovely ensemble a must-have for the lady reenactor! Buckles and buttons donated by Jenny Stanley of Farmhouse Herbals. Shoe rosettes donated by Creative Cockades. 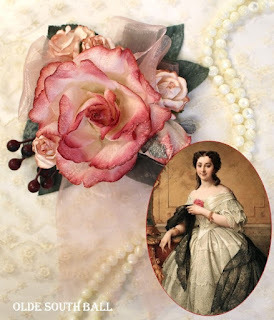 Add some period-correct bling to your outfit! 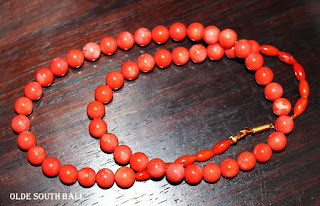 Coral was extremely popular in the 1860s and a coral necklace makes a wonderful accessory to any outfit. This lovely necklace was handcrafted by Mandy for our ball.